Oh Hey There! : Beauty || Makeup Revolution Brushes. Left to Right : F105 Contour Brush, F103 Stippling Brush & E103 Blending Brush. I have been in the market for some new brushes for a while. I seem to have acquired such a mismatch of brushes, many I can not even remember where from! I recently have picked up some real techniques brushes and absolutely love them but whilst they are a reasonable price for makeup brushes and great quality an entire collection of them would set you back quite a bit. So when Makeup Revolution announced their new range I was very excited! I think my favourite has to be the F105 Contour brush. It is really easy to work with and makes contouring so easy! I had previously been using an old brush and had always struggled a little with contouring but now I have this I am unstoppable! 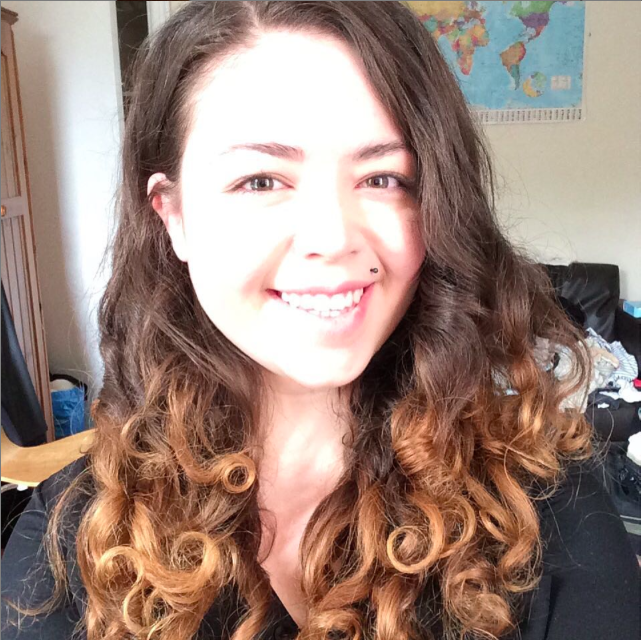 Well, that may be an exaggeration but it has made me feel much more confident with contouring! Its great for precision but it also doesn't give too harsh a line, meaning its great for a more natural contour, whilst still sculpting. I am also very impressed with the E103 Blending brush. I think it is a great size and again it is easy to work with. It blends very well and has made my eye makeup much quicker. The bristles are also lovely and soft. I also do like the F103 Stippling brush, but I am more of a makeup sponge kinda gal, so it is not one I use as much as the others. I also think I would like it to be a little more dense but it still does a good job. Again, it is lovely and soft and it gives a nice even finish. The Contour and the Stippling brush were both only £3 and the Blending brush a mere £1.95! All the brushes are really easy to work with and are all very nicely sized, not too big, not too small. The handles are also well sized for grip and very useable. I have seen absolutely no shedding with any of the brushes, evening whilst washing, which is great! They also wash really well and need a little reshaping after washing, but this is common with all brushes. I just want to emphasis, again, how soft they feel and how good quality they really are! Overall I am just so impressed with these brushes. Makeup Revolution have done it, (yet) again and I really cannot believe the price for the quality. I also love that someone can get an entire set of good quality brushes for £20, which means that people of all ages and budgets have access to decent products! At the moment, I believe, these are only available online and I think if they were to start selling them in-store (Superdrug) they would be an instant sell out! I will shortly be ordering even more to try out! Often, with less expensive products I will label them as being better for those not quite so blessed in the bank or those a bit younger but with these brushes it seems irrelevant, I think everyone should try them! Have you tried the Makeup Revolution Makeup Brushes yet? 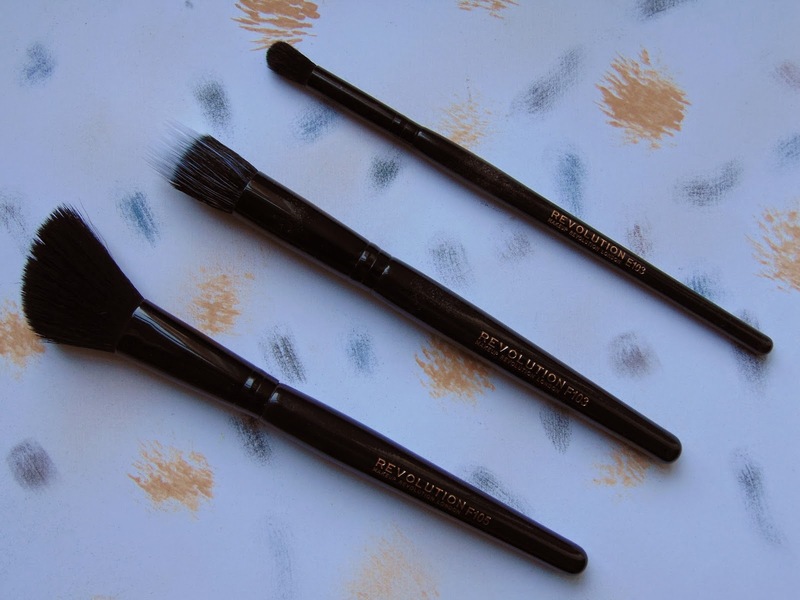 i was so excited when makeup revolution started doing brushes but i still haven't gotten round to buying one, i really like the look of the contour brush - great post!